Imagine you’re at a fast food joint and you’re taking your young child to the bathroom. Of all the possible things you could find in the lavatory, one of the least-expected would probably be whole trays of buns for hamburgers and hot dogs. For a man visiting a Sonic Drive-In in Topeka, KS, this wasn’t an imaginary scenario, but a reality that he documented with his camera and posted to Facebook. “Welcome to the bathroom in Sonic,” he wrote in the caption to the photo. 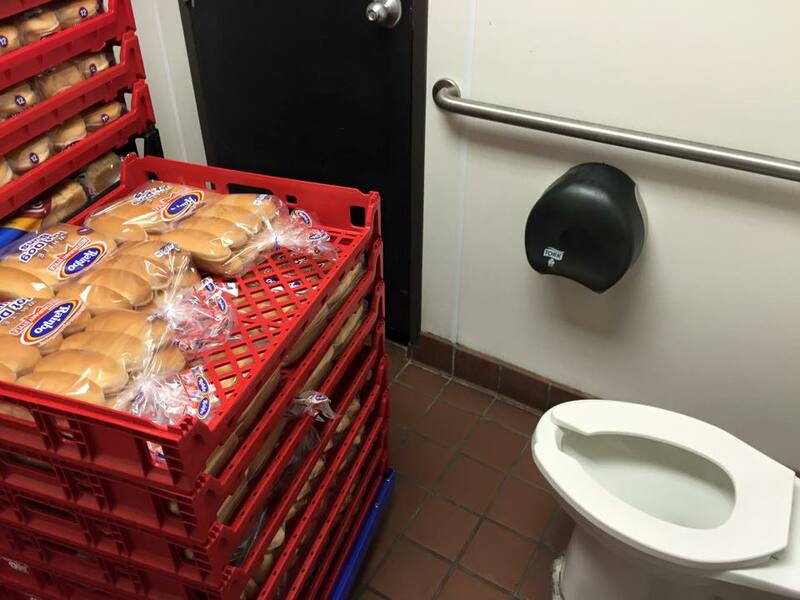 The customer, who says he and his family left the restaurant without ordering anything, was later told that the Sonic’s maintenance folks had moved the buns into the bathroom. The company tells the Topeka Capital-Journal that this was an “innocent mistake” and that these buns were thrown out after the storage issue had been brought to their attention.